I have been seeing a few pesto recipes being posted here and there, and no wonder- this is the time of year for fresh basil everything. My pesto has a little less oil and cheese than some recipes I have seen; I think it lets the bright flavor of the basil show through. 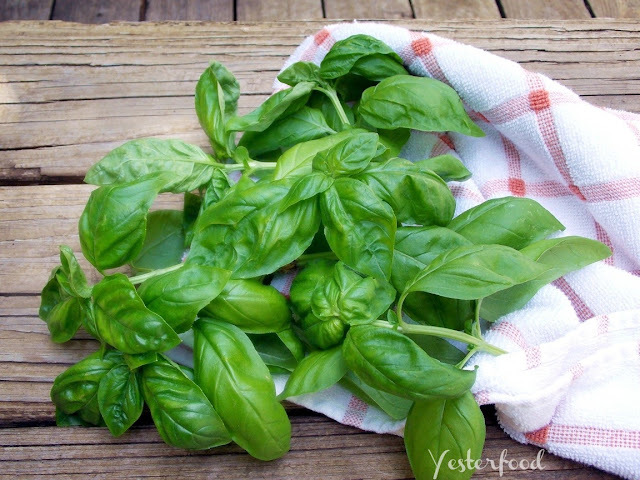 Fresh Basil Pesto is delicious on pasta, breads, pizza, veggies, meats, and more. It's ready in almost no time- a few seconds in the food processor, and you're done! Chop the basil leaves in your food processor for a few seconds. Add the rest of the ingredients and process, checking frequently and scraping the sides if necessary, until the pesto is the desired texture. Mine took about 2 minutes, but my processor is old and tired. :) Your time may vary. Pesto will keep in the refrigerator for several weeks. It may separate a little, but just give it a stir before using. I love pesto....can't wait to make some! Just in time, I was getting ready to Google a pesto recipe. Lots of basil in my back yard and I've never made pesto. Pinned. Found you on Sweet Tea Social Link Party. This recipe sounds fabulous! I have never made fresh pesto before, but always wanted to try. Here is a great recipe to start with. Thank you! Great to hear from a fellow Texan- thanks for coming by! If you try this recipe, I hope you enjoy it as much as we do! My daughter just loves pesto! 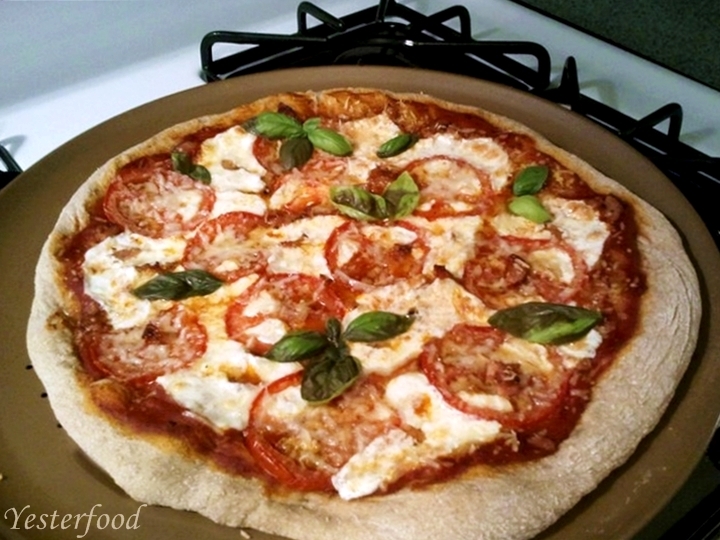 We are growing some basil right now, I will have to see if there is some ready and whip this up for her dinner tonight! Lucky daughter! :) Hope y'all enjoy it! What a beautiful pesto. My basil was gorgeous one day and gone the next. No idea what happened to it. Looks great! I love basil! Me, too, Desiree!! Thanks for coming by- I do appreciate it! Beautiful photos! 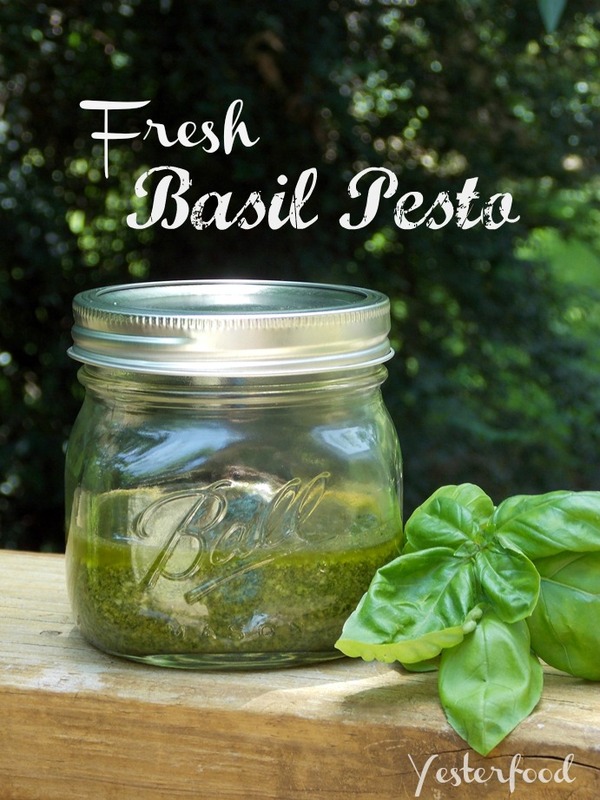 I love pesto, and I have a really big basil plant, so I am going to have to make this! Thank you so much! If you try it, I hope you enjoy it! Thanks for stopping by! Love, love, love basil! <3 Stopping by from SGBC, pinning this to my recipe board! I love me a good pesto! I usually cheat and just buy the packs already made ;) but this looks easy enough for me to try! Pesto is one of those things I look most forward to in the summer. And you are right--it is good on so many things. Thank you for linking this week with See Ya in the Gumbo, Joy! Oh man, I love pesto so much! Thanks for sharing! What a lovely pesto. Even without all the oil, it looks fabulous! Thank you for sharing at Simple Supper Tuesday. Hi and thanks for sharing this. My daughter loves pesto sauce and I will try this. I saw it on tuesday trivia. I just topped all of my basil the other day. I don't follow a recipe just add the basic ingredients until it's how I want it (always with a LOT of garlic too...)I ended up with about a quart of pesto! Ali, it is yummy and easy! :) I'm really glad you stopped by from Texas Women Bloggers- always good to meet another Texan! Hi, Linda! It's very easy! :) If you try it I hope you enjoy it as much as we do! Thanks for coming over from Connie's linky party!! So going to try this one! Thank you for spreading JOY and sharing at the Oh What a HAPPY Day party. Yum - we LOVE fresh pesto!! Thanks so much for sharing this at our "Best Of The Weekend party"! I have pinned this to our party board and another big board too. I love how fresh it looks! Delicious! YUM! I love homemade foods but pesto is my favorite. My son loves fresh basil, I can't keep enough of it in the house. Thanks for sharing Thursdays Treasures, I'm featuring you this this week. 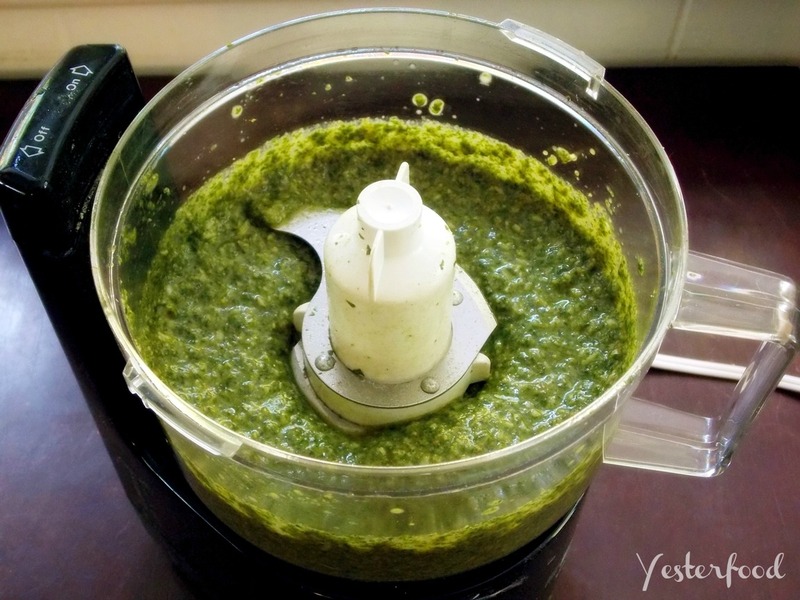 I just made this fantastic pesto! I only had enough basil leaves for half the recipe, but if my little plants keep on producing as I hope, another batch will soon be in the making. Thanks so much for sharing! This looks lovely Joy. I make up large batches of pesto and freeze them when my basil is going crazy. Can't wait to try your recipe! Pesto is so good for you and so easy to make. I have recently started making it myself too. Your pesto look really good. I need to make some more. I made several batches of pasta with it, but my daughter said she wanted me to make some bruschetta. Love pesto and it's freezable too! I put mine in ice cube trays. Yum! I love pesto - last year I made it with almonds and then tried it with walnuts which was my favorite. I might need to make a fresh batch as I to have plenty of basil growing. Finally the garden is doing great. Thanks for sharing at the parties @DearCreatives pinned & shared. Hope your having a great summer. I love pesto & know I'll be making some soon. I adore pesto. Thanks for the recipe. Thanks for linking up at the Weekend Blog Hop at My Flagstaff Home! Fresh pesto is the best! Thanks for sharing this great recipe and for joining us at the #HomeMattersParty! Hope you'll link up with us again! 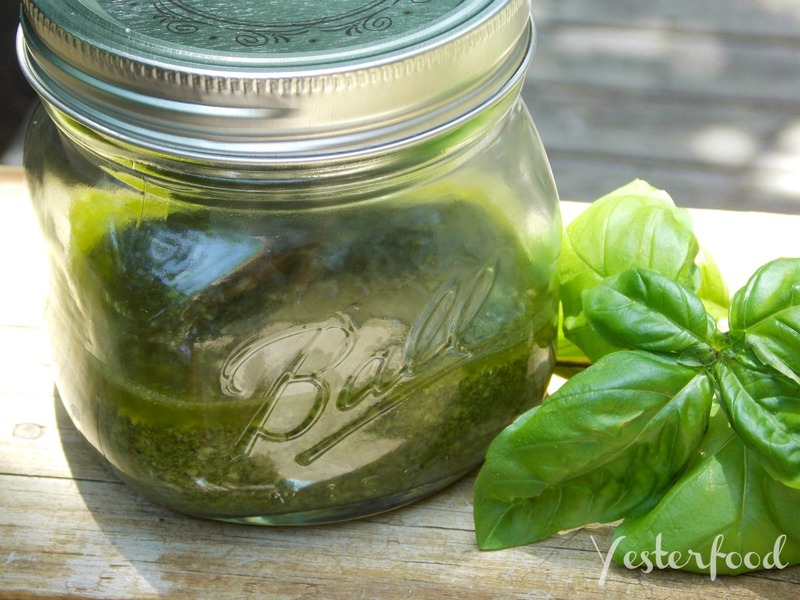 I have lot of basil in my garden, I am going to try your version, thanks for sharing with Hearth and soul blog hop, pinning. tweeting. and featuring on this week's hop. Great way to use up all that basil growing in my garden. Thanks for sharing with us at Thursday Favorite Things :) Please join us again this week! Yummy!! I just picked some Basil myself!! Thanks for sharing on My 2 Favorite Things on Thursday!! Hope to see you again!! I love having you!! Pinned!! This is a great idea and way to use some of my basil. :-) I have a potted herb garden, mainly just because I love the smells coming from it. We love pesto and can't wait to use the basil we're growing to make this. Thanks for sharing with Small Victories Sunday Linkup. Pinning to our linkup board and hope you found some great posts to visit this week!